This clever, short-cuff city glove also features a conductive fabric at the finger tips, so you can use your smart phone or tablet without taking off the Sense H2O. 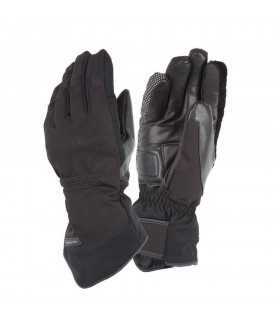 Lightweight stretch upper fabric makes the Sense H2O glove very comfortable to wear, whereas the goatskin palm offers sublime grip and tear abrasiveness. Outer shell goatskin, PWR shell 500D twill stretch, PWR shell 500D stretch, connect finger tip fabric. Insulation Thermolite?, high loft fur liner Waterproofing hydratex? Z-liner. (5000mm H2O). Breathability hydratex? Z-liner (5000g/m2/24hrs). Composition outer shell: 65% polyamide, 35% leather. Lining: 100% polyester Membrane: 100% polyurethane Protection EVA foam at palm, PWR aramid at palm. Visibility reflection at back hand. Fit city. Adjustability adjustment strap at wrist Features connect finger tip, elastic at wrist, short cuff.